A blog for all things mommy! Unless you have an oversupply, one of the most searched or most sought out answers breastfeeding moms look for is how to make more milk. Here are some very simple key factors that will help. Making sure to drink water only with each meal also helps. I find that I'm able to yield the most milk by being patient and taking the time to empty. 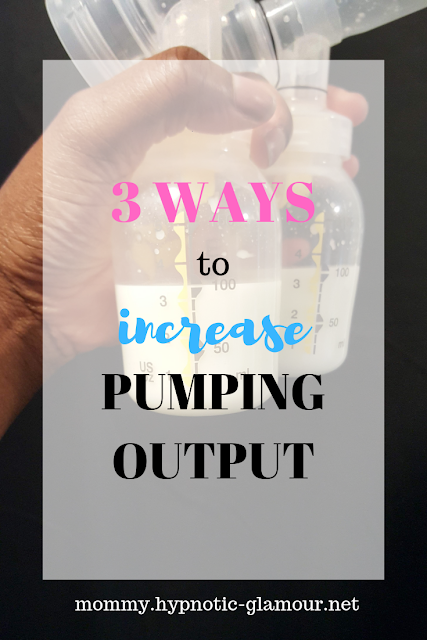 It makes me a minimum of 20 usually no more than 30 minutes to empty and this is with using the letdown phase o my Medela Pump In Style Advanced electric breast pump at least 2-3 times. Massage each breast as you are pumping. This will help the milk come out, and as a result, increase the amount of milk expressed from each breast. I use my hands but you can also use a breast massager to do the work for you. Some other factors are my diet. I eat oatmeal with chia seeds and almond milk every single morning for my breakfast. I also do not skip meals. When I'm hungry, I eat. Please leave a comment if you try any of these tips and let me know how they worked out for you. Also, please let me know what are some of your tips and tricks to increase your pumping output! Hey mamas! Have another quick, easy, and delicious dessert that is free of dairy and soy. 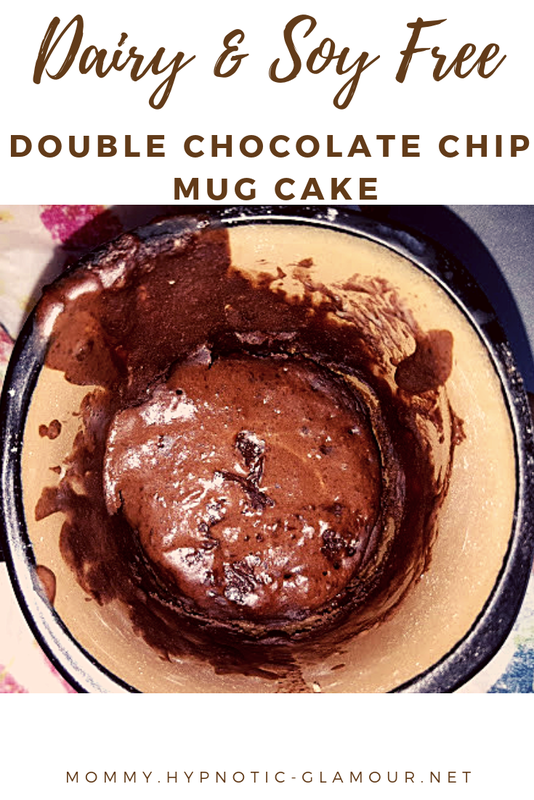 This is a mug cake that only takes 1 minute to cook in the microwave. This is the perfect quick dessert for busy moms. The result is a fluffy, chocolatey, piece of heaven in your mouth. The recipe is simple, let's get started. Add all dry ingredients into your mug and mix well. Add the wet ingredients, one at a time, mixing after each addition. Be sure to mix well. Pop in the microwave for 1 minute. Let stand 2 minutes to cool. Enjoy! If you try this recipe, please let me know in the comments below. Add uncooked rice to baking pan, then add salsa and water. Let soak for 10 minutes. Cube chicken into 1/2 to 1 inch sized pieces. Add to baking pan and season. Drain and add corn and black beans. That's it. 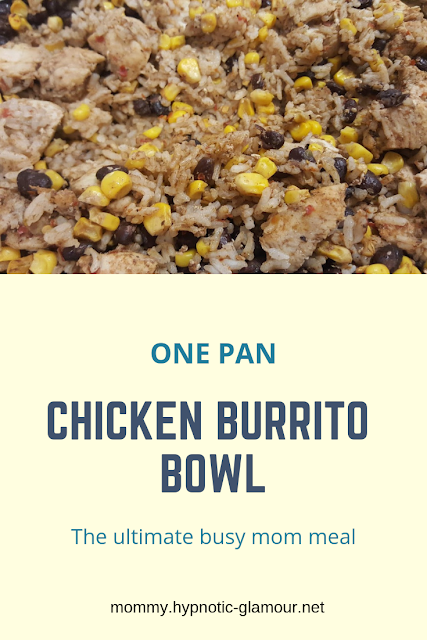 A very quick and easy dish that is also so perfect for meal preps! Hello everyone! Here are some of the products that have been helping me through my postpartum journey. Now, the hospital should send you home with these so make sure you are stocked up before you leave. If not, here are some items that I definitely recommend. Maternity Pads - Your regular pre-pregnancy pads will not cut it. These pads will absorb the heavy lochia bleeding. And in case you didn't know, you cannot use tampons, menstrual cups , or anything of the sort for the 6-8 weeks following birth. Pain Relieving Spray - A spray is a great way to relieve the soreness from birth or from tears. Who knew it would feel like you got hit by a bat in your lady parts post delivery? It provides a nice, cooling sensation that helps keep the pain at bay. Postpartum Underwear - This is probably my most favorite item on the list. This underwear is so stretchy and comfortable! Also, don't throw these away! They are completely machine washable. I made that mistake and missed out on having a stash of 2 additional packs. These make good underwear for just wearing around the house as well once the postpartum period is over. 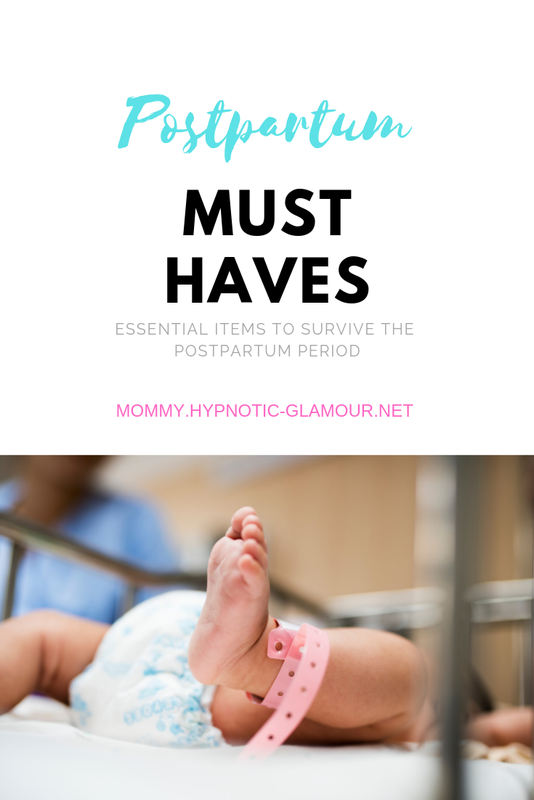 Let me know in the comments what are your postpartum must haves. Also, please visit my Amazon storefront to conveniently find these items on one page: Amazon StoreFront - Postpartum Must Haves! My baby has a case of eczema which sometimes flares up pretty badly. 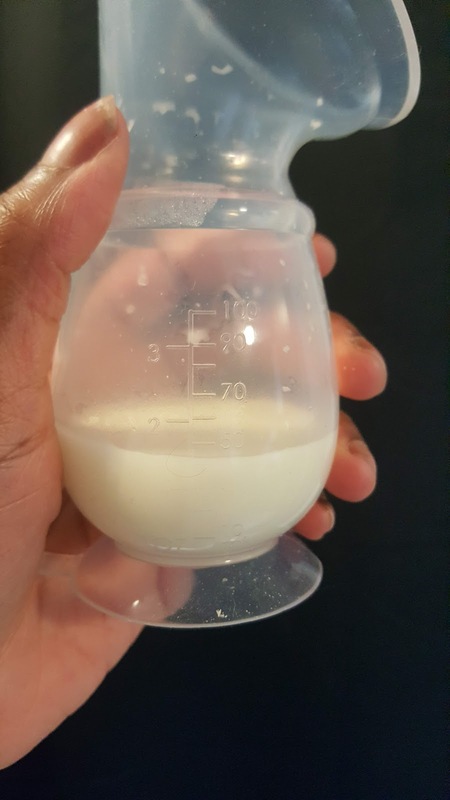 The pediatrician recommended I stop consuming all dairy and soy for at least two weeks, as well as get on a special formula, Similac Alimentum to try and get it to clear up. I did not realize how many of the foods I loved and ate on a regular basis have either dairy, soy, or both. I had to find creative ways to still be able to eat the things I enjoy, like yellow cake for example. Once the two weeks was up, I was cleared to add soy back into my diet for a few days to see how he does. Then I can slowly add dairy products back to see how he reacts. The best way I've found to keep track of my food intake is by filling out a food journal. This way, if the baby has an adverse reaction, I can look back at what I ate that day to narrow down the cause. I've only been introducing one new food every few days so I can accurately track the problem food item, and will continue to do so until I know what I can vs. can't eat. So, how exactly am I tracking my foods? I created a simple spreadsheet, where I enter in foods I ate for each meal. A food journal is also a great way for mom to keep track of what she's eating to make sure she's actually eating. It gets hard out there sometimes and we sometimes forgo our needs because we are so consumed with taking care of little that weIl, we forget to eat! Keep a food journal to track what foods you are consuming. Only introduce one new food item every few days. 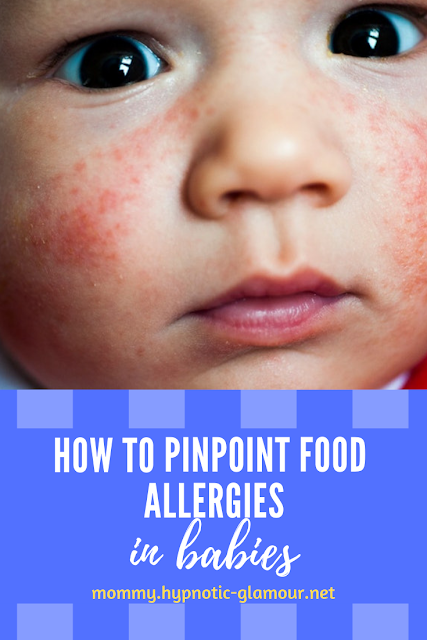 When baby has an adverse reaction, refer back to the journal to see what foods you consumed. Begin eliminating one by one, the foods you ate on that particular day to find the culprit. If you are looking for a simple to fill and track food journal, you've come to the right place! I've created a FREE weekly food journal to share. Subscribe to the blog and you will receive your own customizable copy. Being a mom of a newborn is a very demanding job. That being said the only way to attempt to get things done is to make a to-do list. Now, there will be days that nothing gets checked off the list, and that is okay. After all, you are performing the most important task of them all, take care of the baby. By the way, be sure to put that on the list because no matter what, that is the one thing that you can be sure to accomplish every day and it will give you some sense of achievement. Now you may be wondering, "How do I go about even making time to write a to-do list?" The answer is simple. 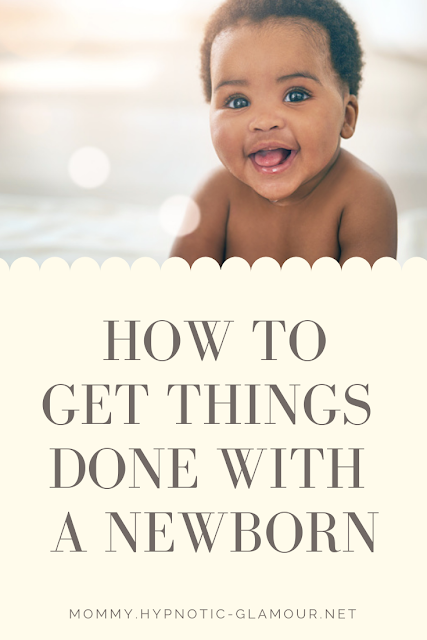 I promise you, this is the easiest, most stress-free way to get things done with a newborn. Matter of fact, this is the method I used to write this post (and every other post on this site). First, you need to brainstorm a list of all the things you set out to accomplish for the day/week/month or however far in advance you plan (I take things day by day). Think of these things while you are busy taking care of the baby, say perhaps while you are nursing. Ok. Got your list of tasks? Great! If not, that is okay. Just attempt to finish it during the next round of baby raising. Once baby goes to sleep, start to add items to your list, once done, relax or take a nap with the baby. Do not plan on starting the list at this time. Let's face it, mama needs a break. When baby wakes again, don't think about the list, just focus on taking care of baby. Once baby goes back to sleep, start on your list and work until the baby wakes up. Only do one task at a time as to not overwhelm yourself. If the baby wakes up before your task is complete, just try to finish it again when baby goes back down for another nap, If you finish your task before the baby wakes up, relax or take a nap. So early in the day, while I'm nursing baby, I'm thinking of all the things that need to get accomplished. Once baby goes down for a nap, I physically make my list of tasks, then relax or nap until the baby wakes again. Once awake, I take care of the baby, not thinking about the list at all. Then once back down for a nap, I start on my list. In my case, the first task it laundry. So I'll throw a load in, then go take a nap until the baby wakes up. I continue this pattern for the rest of the day. I make sure to only work on one task at a time. Taking care of a newborn is an incredibly hard enough task on its own. I don't need to further complicate things and challenge my sanity by trying to do everything at once. So in sum, here is how to get things done with a newborn. Add tasks to the list. Attempt to execute the list, one task at a time. To help you out, I've created a downloadable to do list. All you need to do to receive it is subscribe to my blog (which is completely free) by entering your name and email in the form below. The best part of this list is it's digital so you can access it from anywhere. One of my favorite mom brands, Lansinoh has just come out with their own version of a manual pump, or as they like to call it, a "breastmilk collector ". I saw this and just had to have it. I am a huge fan of Lansinoh so I had faith that this product would not disappoint, and it did not.